Annalise Jennings and Elder Maryann Coconut to deliver a key note address at the forthcoming CTT International Conference . Maryann will stand on the global stage in Toronto in September this year to deliver her message of hope, love and infinite possibilities while Annalise, as a leading expert in the field of community transformation, will share the journey, approaches and lessons learned with leaders looking to build full spectrum communities globally. 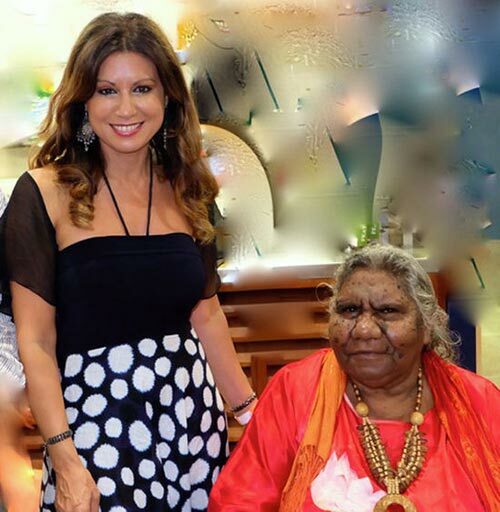 Maryann Coconut is a highly respected Aboriginal Elder from Western Cape York Peninsula, Queensland, Australia. Her country is Luwang – Mission River from her father’s side and Kwokkunum – Hey River from her mother’s side. From childhood Maryann excelled in the arts and received a highly commended award for a Queensland State art competition in 1952. She became a teacher’s aide in 1957 and has had a lifelong interest in education, completing a Bachelor of Community Management from Macquarie University in 2009. She also studied Theology in the Northern Territory and is a committed Christian, having been raised in the Presbyterian Church. Maryann’s Christian values are profound. She doesn’t just talk it – a woman of grace and presence – she lives it. In 1963 she married Jerry Coconut and together they had 7 children. Maryann has 10 grandchildren and 9 great grandchildren. Chair of the Napranum Justice Group, which was formed in 1999 to assist with community justice, support cultural law and to overcome alcohol & substance abuse; Maryann has worked tirelessly to bring peace to her community. Long term and active member of the Western Cape Communities Co-existence Agreement (WCCCA) coordinating committee, which was formed in 2001 to consult and work with a large local mining company (now Rio Tinto Alcan) to bring real cultural, economic, educational and environmental benefits to the Indigenous people of the region. Napranum Council engaged Annalise through her business Dynamic Exchange to work with the people to establish their first community-owned visionary plan. Annalise had developed a best practice model for change which was successfully applied into Napranum. The premise of the program is that lasting social reform can better be achieved by developing the community from within, alongside sustainable economic development. From the outset Annalise’s work around community ownership, collaborative service delivery and community transformation struck a chord with Maryann and the people of Napranum. 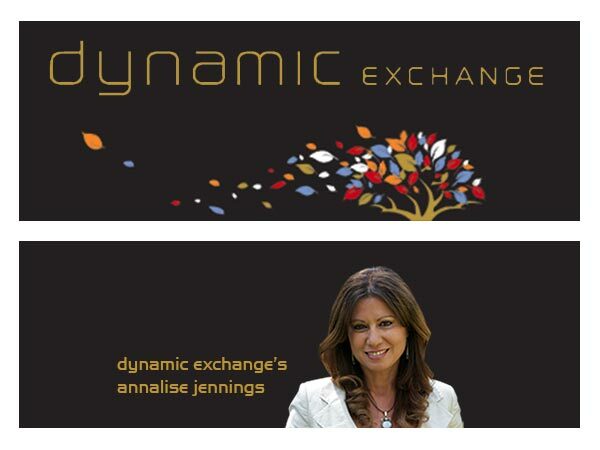 The fundamentals of engagement ownership and responsibility for change became deeply embedded in Annalise’s approaches to create a Whole of Community response to economic sustainability and spiritual wellbeing. In particular, a new conversation emerged in the community about shifting thoughts from negativity to hope and possibility. Everyone has a voice and everyone’s contribution is valued. Whilst the impact was profound at a personal level, the positive impact on the community came within a matter of weeks and months. Napranum achieved a 40% increase in community owned infrastructure and a huge 60% increase in employment as a result of the program. Of great significance is that negative social indicators such as family violence and adult court appearances declined rapidly, igniting community responsibility around family violence never achieved in mainstream intervention programs. Now, four years on, it is pleasing to note that, not only has the shift in community attitude endured, the ‘Safe House’ which originally housed 10 – 12 victims at any one time is now predominantly empty while housing and infrastructure development continues at an accelerated rate. The message from this program is that success follows from the community taking responsibility for its own destiny. Maryann championed this work and soon became a rock of support within the community who she represents at every stage of the Whole of Community Change process. Commencing with the strategy workshop when the community plan was first formulated back in November 2011, Maryann was determined to have a presence and show her support. As the visionary plan for Napranum continued to be implemented, great changes were seen in the community including the opening of the community’s own supermarket and a library named after Maryann Coconut nee Hall. These were real results of the plan, which has now seen over 90% of its initiatives achieved within 3 years. Congratulations to Maryann and to the people of Napranum whose determination for a sustainable community has now stood the test of time. Annalise, a previous senior manager of ANZ Bank, was recently made an adopted daughter of Maryann Coconut’s tribal land. Her Aboriginal name Kili is represented by the lorikeet, the messenger between heaven and earth, an honour Annalise holds close to her heart. The special bond between Maryann and Annalise continues with both women to deliver a key note address at the forthcoming CTT International Conference . Maryann will now stand on the global stage in Toronto in September this year to deliver her message of hope, love and infinite possibilities while Annalise, as a leading expert in the field of community transformation, will share the journey, approaches and lessons learned with leaders looking to build full spectrum communities globally. As a record of the life and work of these two women and the community a book entitled Five Round Tables has been commissioned as an enduring guide to others wishing to emulate and disseminate the processes originated at Napranum. This story was published in the First Nations Telegraph.